The crowd was like a sea wave; it was moving back and forth. We were getting into car during police stormed, and when a wave of protesters was moving forward we were taking photos from the tops of cars. Unfortunately, now I don’t have any of those photos, otherwise I would have posted them, which would be appropriate. I felt similar for the first time in 1988, during students march in Lenin Square. To brake Police ranks and seize the width of the square was like getting heavens. During the Soviet period, Lenin Square was free. That square lost its freedom due to something, which is called freedom. This is the very irony of history. It turned out that in most of unauthorized rallies within last 15-20 years I’ve been side by side with foreign democracy activists and journalists, whose appearance was doubtless of non-nationals. This allowed me to be in epicenter of events and to watch more closely what is going on. 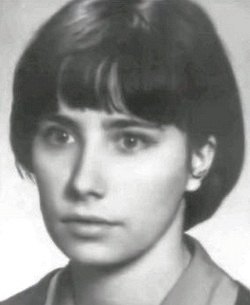 Irena Lasota, a Polish-born, anti-communist and anti-post-communist (it’s a new term, made by myself, which intends the so called democrats with communist past) American behaved like being in students’ street protests in Warsaw in 1960s. Her tongue sounded the “Freedom” slogan with a special intonation. I was scared that she’ll be hurt or hit with riot batons. But, every time riot batons were stopping frozen above our heads. Angry policemen were saying: “What you’re doing here?” and restrained from beating us at the last moment, because that time they didn’t hit foreigners. Irena was unstoppable, she was not afraid, as if she was a barricade fighter for 100 years. When someone wanted to discourage her, she said: “Are you protecting me? Eh … on the day when you were born, in Warsaw Prison I with student mates were thinking of texts of leaflets we would publish in Warsaw. She was saying the truth, wh en I was born, she was in prison. George Soros has mentioned in his book “Soros: The Life and Times of a Messianic Billionaire [Michael T. Kaufman]” about Irena’s anti-Communist struggle during her university years. 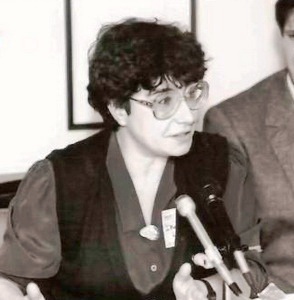 Being side by side with freedom fighters from Mongolia to Cuba, Irena Lasota is a live heroine in the history of the struggle against communism and despotism. Awards presented by governments and parliaments of countries, where democracy won, are witnesses of this. I believe that her pro-democracy struggles in Azerbaijan, as well as works she did for Azerbaijan worldwide will bear fruit. Her activities will be studied in future and monographs and books will be written about her. One of the reasons wh y I remembered of Irena Lasota on the eve of September 12, is that she’s not tired from the fight for democracy, even at her current age. Her name is heard either in Belarus, or in Cuba. Today, she can also be seen with Crimean-Tatar and Chechen freedom-lovings. Bu yazı Adamlar və kitablar, IN ENGLİSH içində dərc edildi və democracy, freedom, George Soros, Warsaw in 1980s, İrena Lasota olaraq etiketləndi. Daimi bağlantını seçilmişlərinizə əlavə edin.